A super easy tutorial which helps you to create and a Smart Sticky Bar sticked on top or on bottom position of your website like this. Set the Position to Top Left to stick on Top or Bottom Left to stick on Bottom. Enjoy your Smart Sticky Bar! 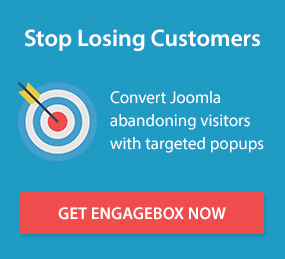 Get Engage Box for Joomla! for just 29€ Get it now!